Home VPN Guides VPN vs. Proxy – which is better? 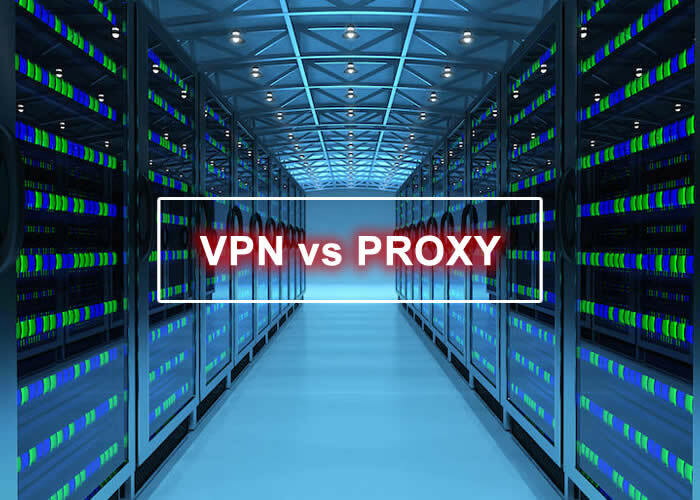 VPN vs. Proxy – which is better? If you want to hide your details when you surf online, there are many options that you can try. The two main ways to stay anonymous online are VPNs and proxies. While both work by re-routing your traffic and changing your IP, there is a lot of difference between the two. Let’s learn more about them. A VPN is a private network that allows you to send your data to a recipient through a secure tunnel. When you connect to a VPN, all your messages are encrypted, which means they cannot be broken open easily by anyone, including hackers and your ISP. When you connect to a website through a VPN, it will appear to that web server as if the traffic is coming from another location. With a VPN, your data is safe and your location is hidden. However, for virtual network to work, you must select a good service. There are several free VPNs out there, but they cannot really be trusted. When you connect to a VPN, it’s important that they don’t maintain any logs. If they maintain logs, they beat the whole purpose of having a VPN in the first place – because the ISP succeed in spying on you but the VPN company will. And if the government wants your data from them, they will have to provide them your usage logs. So basically, you’re putting your security at risk with a free VPN. It’s like using no protection at all. Always make sure you get a subscription from a good provider. A proxy works a bit like a VPN as it directs the traffic through another computer. However, the problem with proxies is that they are not at all reliable. There are public as well as private proxies. Paid private proxies are the best because they offer some stability. However, proxy connections are not very stable, even in paid versions. The main protocols used by proxies are HTTP/HTTPS and SOCKS. While HTTPS provides encryption, HTTPS and SOCKS do not. Also, keep in mind that proxy cannot protect all your traffic – they usually protect browser-based traffic. Another problem is that you’ll have to configure the proxy separately for each application. While there are many drawbacks of proxies, the main reason why people prefer VPNs is that they are reliable while proxies sometimes “leak” your IP details to the website you’re trying to access. Even if the IP is leaked once, it will blow your cover and you’ll become exposed.